One day after police made arrests in a deadly Lewiston street fight, some in the city fear it will lead to more violence. Leaders in the community are calling for peace. 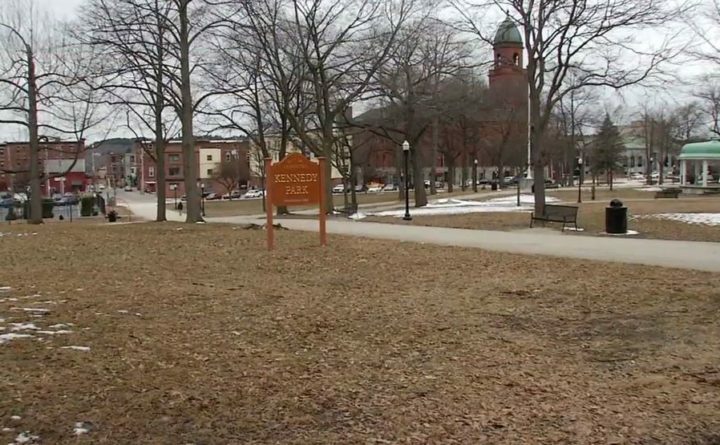 Community leaders say what happened in Kennedy Park last summer was tragic, but they say it’s been a nice, quiet place since then, and they’re working hard to keep it that way. Downtown resident Melissa Dunn says race prompted some of the violence last summer, including a massive brawl that left one man dead. According to court documents, 30 people from Somalia and the Congo were fighting against 15 white people, when Donald Giusti was hit in the head with a rock and killed. “It was a recipe for disaster, what actually led up to what happened and unfortunately someone lost their life,” Dunn said. Ten months later, on Thursday, state police arrested three people. Twenty-three-year-old Pierre Musafiri and a 13-year-old boy are charged with assault. A 17-year-old boy is charged with manslaughter. “No matter what there’s going to be people that aren’t happy with the charges, aren’t going to be happy with the sentences,” Dunn said. Dunn is an organizer with “Lewiston United for Peace and Hope,” a group started after Giusti’s death and a string of other violent incidents. “We’ve been able to organize over 300 people having really tough conversations around that, and bridging cultural differences and bringing people together,” Dunn said. Fowsia Musse is part of that ongoing effort. She says it’s eased racial tensions. “We put a lot of work and a lot of sweat to keep the community as is and even more better,” Musse said. She, too, worries the recent arrests may incite more violence but encourages the community to keep practicing peace instead. The two teens arrested in Giusti’s death faced a judge Thursday. Musafiri is free on bail and scheduled to make his first court appearance in June.